10 Things You’ll Totally Get If You’ve Studied At Amity! But by the end of the first sem, every gang finds its own special nook and corner on the stairs and in the plaza, and just about everywhere else! 2. Crossing one block to the other is all the exercise we need to stay fit! 3. We may be stressed and pressed.. but we’ll ALWAYS be well-dressed! We just know the magic of power dressing, and never compromise on that! 4. Multi-tasking? Oh, you got that! Classes that start at 9, and go up to 5 in the evening, and assignments that take the rest of the night? We still manage to chill with our peeps like a boss! Every freshers’ and farewell has an unofficial side to it that the entire town hears and raves about! 6. And everyone from Edward Maya to Sonam Kapoor has paid us a visit! Be it for their movie promotions, or for jamming at our fests...celebs are a common sight on campus! We’ve just got a thing for fancy rides. Plus those clear, wide lanes right outside the campus...well, what better place to flaunt them at? 8. Our social life is often the envy of others! Because by the time we get through with our course in college, we just know more people than we ever have before, what with the many classmates we studied with, and the many more people we meet every day from different sections/ courses/ societies. … Or the best food joints in the campus, or our fav Maggi and juice point right outside it, or even BP market a little further away - we just have the best of both worlds. With a strict code to wear a uniform (read formals), to not be able to skip as many classes as we would like to (super high cut for attendance), and continuously getting debarred (and being fined for it)! But hey, who wants school life to ever end, right?! GIFs: Tumblr HAVE A STORY IDEA FOR POPxo? If you want to hear about it, we can write about it! Just tell us your idea here! MUST-READ: 9 Things You’ll Totally Get If You’ve Studied At Pearl! 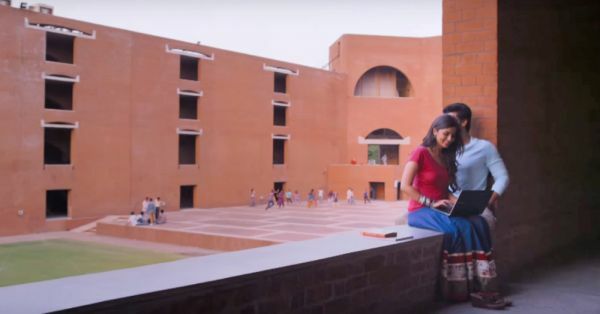 MUST-READ: 13 Things You’ll Totally Get If You’ve Studied At NIFT!